The internet has become such an important feature in many of our lives that it can be hard to imagine how we ever coped without it. It has not only an excellent source of entertainment, but we also now go online for practical stuff like shopping, doing our banking, and paying our bills. The fact most of us are so comfortable going online means we can be oblivious to potential dangers. If you are too complacent about your internet security, it is going to put you at higher risk of things going wrong. Even if you have the best internet security software around, you still need to be vigilant. Here are the top 6 online dangers you are likely to face. Phishing refers to an attempt to get you to reveal personal information such as your bank password. If you received an email from a stranger asking for this information, you’d obviously just ignore it, but phishing scams can be highly sophisticated. 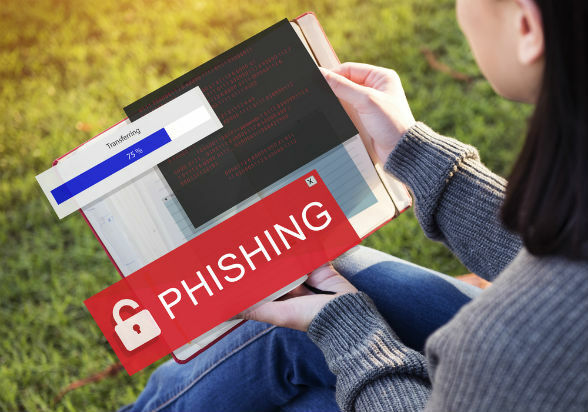 What usually occurs within email phishing scams is that you receive an urgent email from somewhere like your bank saying that you need to log into your account right away. You’ll be given a link to click on to do this, but this is actually going to take you to a fake website where the details you use to log-in can be stolen. If you want to be protected from phishing scams, you need to be careful around emails. It is probably best never to click on a link from someone claiming to be representing your bank. If you think it may be genuine, go to the bank yourself and log in there. It is also a good idea to get security software to protect you protecting against this type of scam email – you’ll get this with best internet security products but not standard antivirus software. There are lots of websites that are not what they appear to be. It is easy to set up a front online and use this to scam unwitting visitors. Only provide your personal information if you are sure the site can be trusted, and be particularly careful with giving your credit card details. It is often websites promising you pirated material for free that can be the most dangerous. Malware includes things like viruses, Trojans, and worms. This malicious software can be put to use by criminals to take control of your computer or steal your files. The most usual way malware gets on your computer is from downloads or email attachments. If you choose one of the best antivirus software options, you will be protected against most of these dangers – just make sure the product is regularly updated, so you stay ahead of the bad guys. Online bullying can destroy lives and children are the most vulnerable to this type of abuse. If you want to keep your kids safe online, you need to keep an eye on what they are up to. One option would be to only allow them to use the computer somewhere you can observe them. Another options is to install some type of parental control software – this is available with most internet security suites. You are probably now more in danger from spyware when you go online then viruses. This type of crime allows strangers to track your movements online and potentially even steal your personal details. Regular antivirus software isn’t enough to protect you from this danger, but an internet security suite can be a good defense against it. The most common type of ransomware these days involves infecting your computer with viruses and charging you money to get rid of them. This can happen if you download free antivirus products from the wrong place. The software actually infects your machine, but it tells you that it has ‘found’ all of these viruses and you need to buy the premium product to remove them.